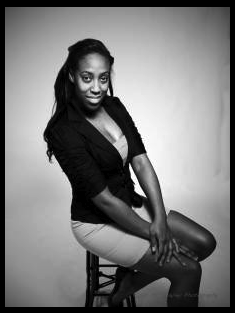 I would like to formally introduce Stephanie, the new guest blogger for "Healthy Hair and Body". You may have noticed her recent posts on Fitness and Healthy Eating that are featured every Monday/Tuesday. She has degrees in Exercise Science and Biology in addition to heading her own blog entitled Infinite Life Fitness. She is also an athlete of over 10 years with additional knowledge gained from several trainers and coaches. Be sure to check her out in her corner of the World Wide Web (Infinite Life Fitness) and look forward to more weekly guest posts from her here at HHB. Don't forget to "like" her fitness Facebook Page as well. P.S. If you have any questions for her or would like her to write a guest post on a particular subject, leave a comment below. A Healthy You in 2012! Valentine Day Treats … Lower in fat but still so YUMMY! Welcome Stephanie! I have a query about preparing to run. I work out a few times during the week (yoga and a cardio class). I decided that I would like to give running a try and possibly do a marathon next year. Are there any tips that you can share with a novice such as myself?